TOW (Thought of the Week) is a great way to get students started in the creative writing process. 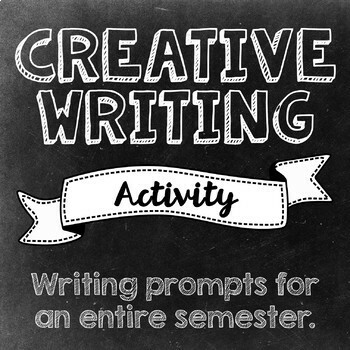 The teacher can use the writing prompts as a writing activity, a one-time evaluation, or as a semester-long evaluation. •	Three editable evaluation sheets (work process, oral, and writing) in Word for easy modifications. I’ve used these prompts for years now, and every year I’m surprised at how much students enjoy this activity. I thought that it was time I shared. See the Preview for more details. This is handy for the gifted, talented, creative and is also a reading resource with vocabulary at a level which most primary students in the third grade up should find just right. It’s also handy for your reading circle or reading center. 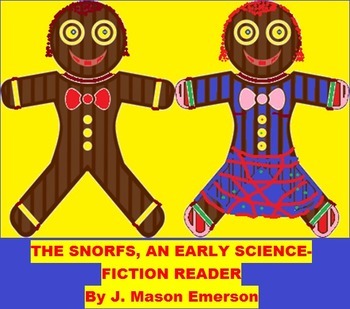 I wrote it because there’s not much in the science fiction genre in elementary schools, and yet it’s a great, fun bridge from fairy and folk tales; and besides it’s cute and motivates kids to want to read. **NOTE RE CCSS: The author of this publication mentions and is supportive of educational standards such as the Common Core State aligned to”) are or mean in the supportive spirit of, and are not to state or imply any endorsement, approval or sanction by the afore-mentioned. Standards that were written and developed by the National Governors’ Association Center for Best Practices and Council of Chief State School Officers © Copyright 2010. Any use of descriptions, summaries, text, words or phrases (e.g. “aligned with” or “aligned to” also simply mean in the supportive spirit of, and are not to state or imply endorsement. $ALE$ ETC: CLICK THE tiny green star or Follow Me to get a newsletter (no more sent by me than once a month) telling of new products, sales (usually on some weekends), etc. Thanks for coming and please return.